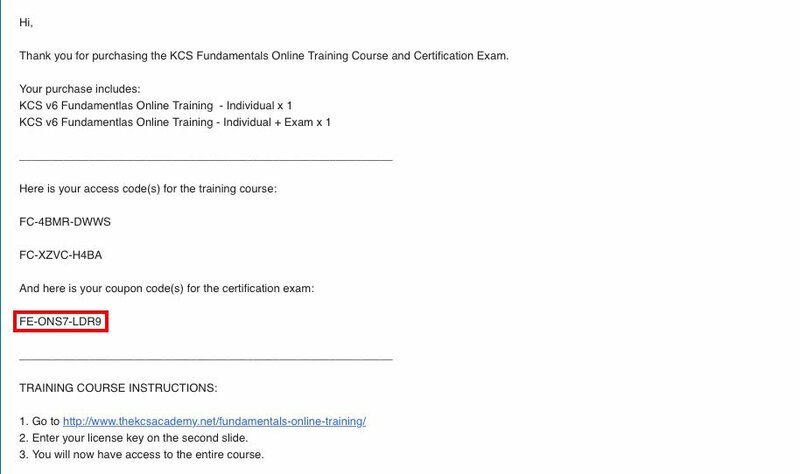 If you have previously purchased the course, please check your email for KCS ORDER CONFIRMATION to obtain your access code, then launch from this link. 1. Purchase an access code. 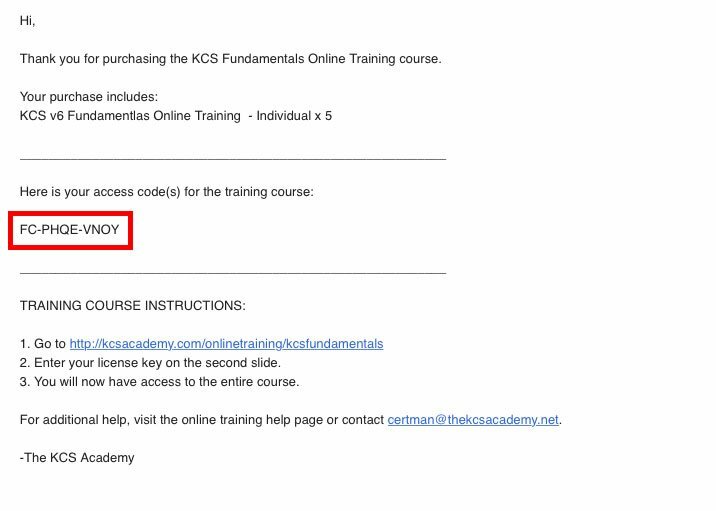 Visit the KCS v6 Fundamentals Online Training purchase page, choose an option, and click the purchase button. Select the quantity of codes you wish to purchase. Hit “Checkout” and you will be redirected to PayPal to complete the purchase. When checkout is complete, you will instantly receive an email from The KCS Academy (via SendOwl) with your access code(s). Make sure your browser is up to date. For best results use Chrome, Firefox, or Opera. 4. 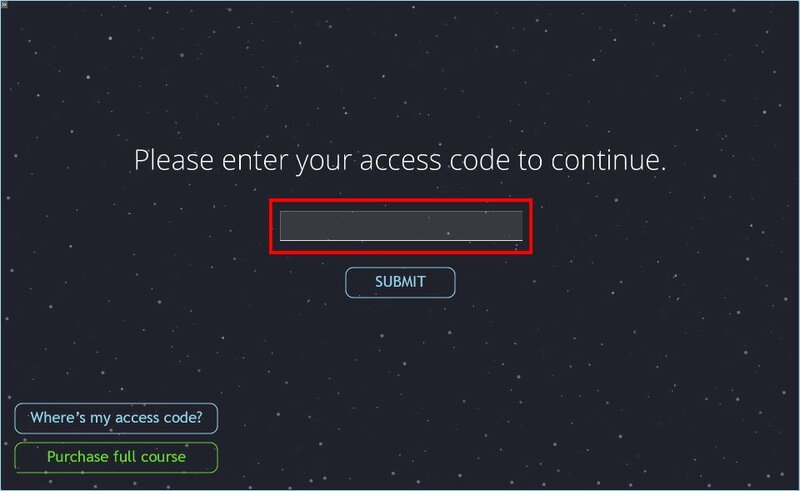 Enter your access code on the 2nd screen to continue.  After you complete the course, click on the “LAUNCH CERTIFICATION EXAM” on the final slide. Log in, or create a new account. 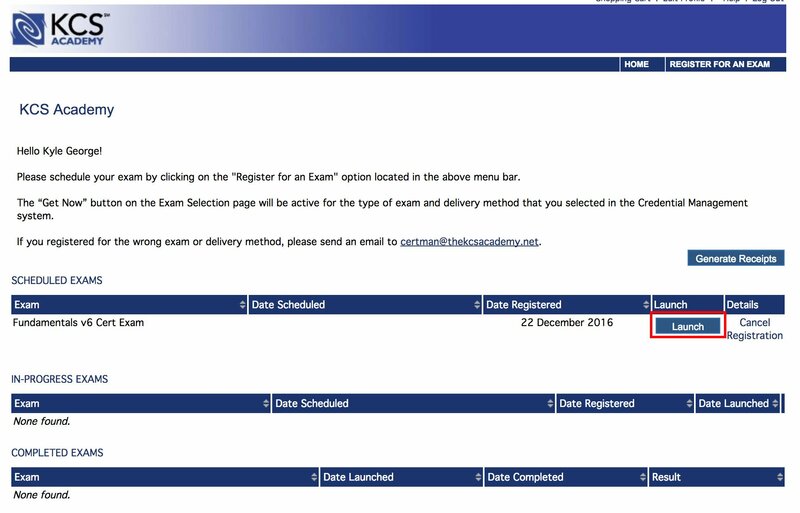 In the top right corner, click “REGISTER FOR AN EXAM”. 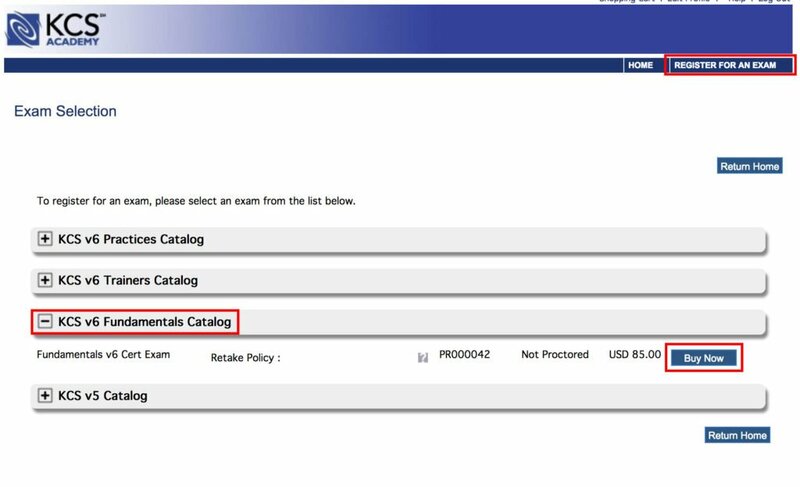 Select the KCS v6 Fundamentals Catalog. 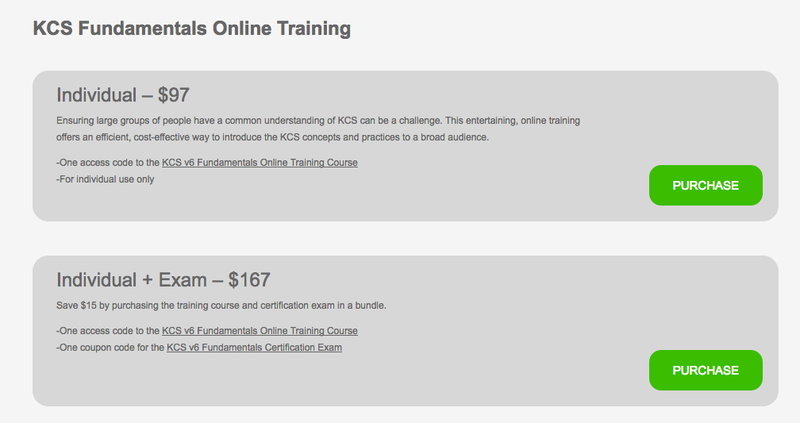 Click “Buy Now” next to KCS v6 Fundamentals Cert Exam. The 10-character coupon code is formatted like so: “FE-XXXX-XXXX”. 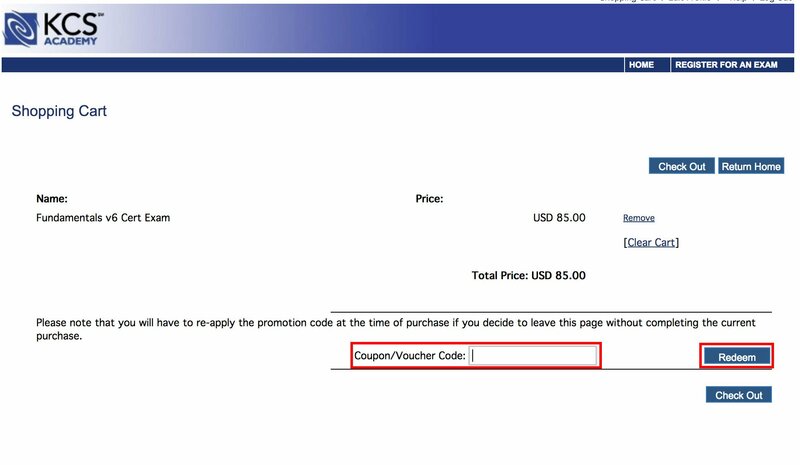 Enter the code in the Coupon/Voucher Code box and click “Redeem”. The price will be reduced to $0.00. Click “Home” then click “Launch” next to the exam.